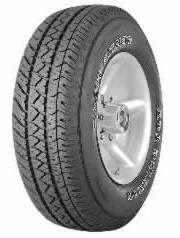 Premium luxury Sport Utility tire. Reversible asymmetric all season tread design. Traction shoulder-maximum traction for all weather. Highway shoulder- longer mileage, crisp control. Tread compounding provides longer tread life. When you want the very best.